Get rid of unpleasant home odors before you show your home. 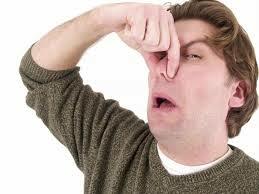 Some homes can be tough to sell if they have a bad smell. Here are some of the most common household odors and how to get rid of them. The downside to tough odors is that you have to get rid of the source to completely get rid of the smell. Cigarette smoke, pet odors and stale air can really be a lingering problem. We’ll tell you whether or not these are problems that you can solve on your own or should leave to a professional. The time and level of cleaning involved in a smoker’s house depends on how much and the length of time spent smoking inside. A low degree of odor may be treated with professional equipment and will remove the cigarette smell from the air, but won’t reach the smell within property items like carpets, cabinets and dry wall. Walls of a heavy smoker may even be stained with a yellow tint. Professionals will have to come out and deep clean the home. The pros will wash the walls, floor covering and all surfaces before deodorizing the air. Pet odors need to be cleaned right away to avoid ruining the area. Untreated pet accidents left for a long time can seep through carpet and flooring into the layers below. Sometimes, the cushion under carpet and the wood or concrete underneath that can absorb the odors and end up costing you new carpet and subflooring. It can also permeate walls, so owners need to be careful. Be sure to soak up any wet spots and blot up as much as possible. Then allow it to dry and use cleaner. For litter box odor, don’t fret — time will air out the space. You can hurry it along by ventilating the room and using an air freshener if you’re showing your home soon. We recommend leaving the AC on so that your home is comfortable to prospective buyers during showings, but some sellers do not like to. This can cause the home to smell like stagnant air. To rid the odor, simply use an air purifier with a HEPA filter. While stagnant air isn’t the worst odor, it gives buyers less to worry about. Avoid machines that create ozone, as these can cause coughing, burning eyes and chest pain, according to the Environmental Protection Agency.